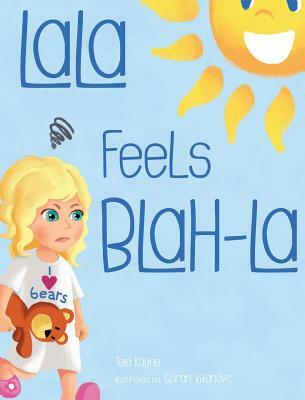 In this newly released children's book, "LaLa Feels Blah-La," a young girl and her stuffed bear wake up feeling blah for no apparent reason. LaLa's mom teaches her to be mindful of her feelings and turn her mood around with the flip of a coin. Perfect for young readers, LaLa Feels Blah-La, teaches children to be more mindful of their feelings and manage their mood swings. As a mom of four daughters who is committed to natural and mindful living, I was inspired to write "LaLa's World" after over a decade of reading countless popular children's books and realizing that only a handful of stories truly serve to impart spiritual wisdom. My intention with this series was to write something in the same vein as Dr. Wayne Dyer's children's books and bestsellers "Incredible You " and "Unstoppable Me " that will help my daughters and other children better understand how their beliefs manifest their realities so they can grow up to be the change they wish to see in the world. It's important that we all understand our individual power to effect change for the better. A small gesture of kindness, a smile or even a positive thought will reverberate through the universe elevating the energy of all beings. My hope with the LaLa's World Book Series is that parents and children alike will learn to use their gifts to bring more light to the world.